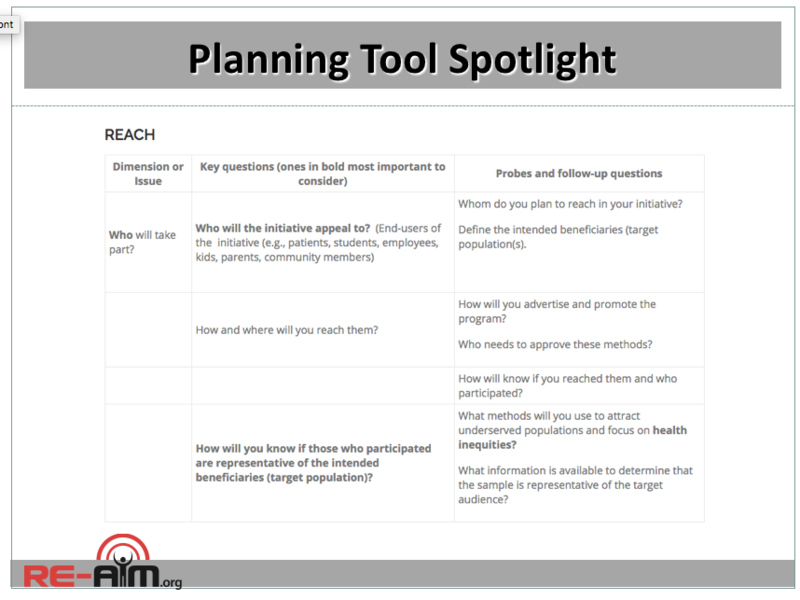 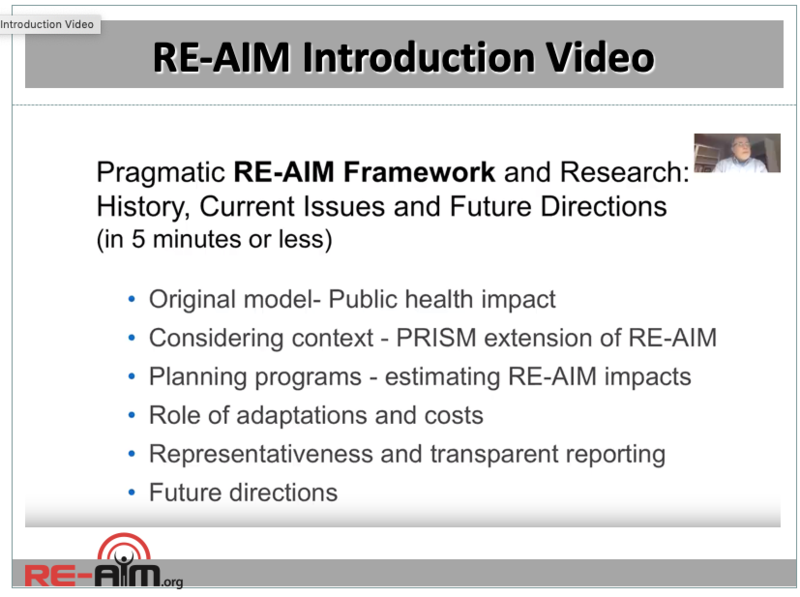 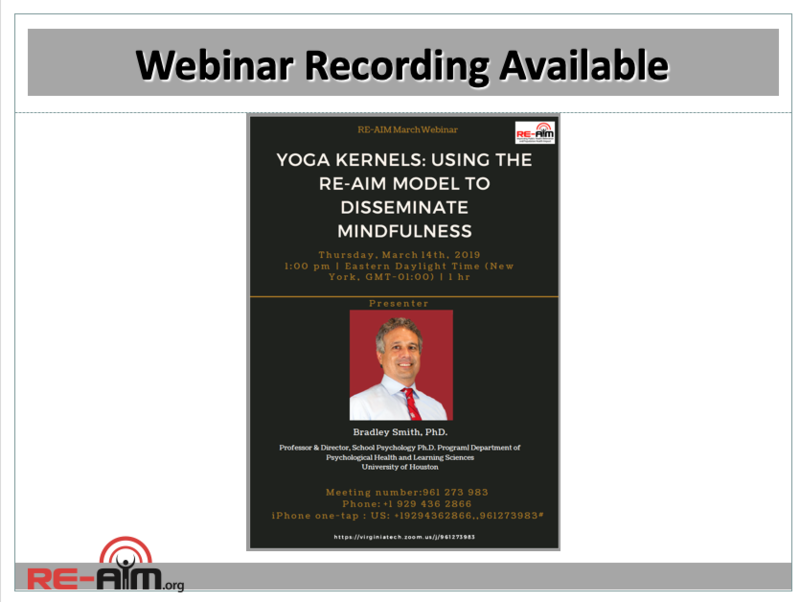 Recently, the RE-AIM workgroup put together a manuscript for a special call from Frontiers in Public Health, that reviews the accomplishments and impact of the RE-AIM Framework in practice over the past two decades. 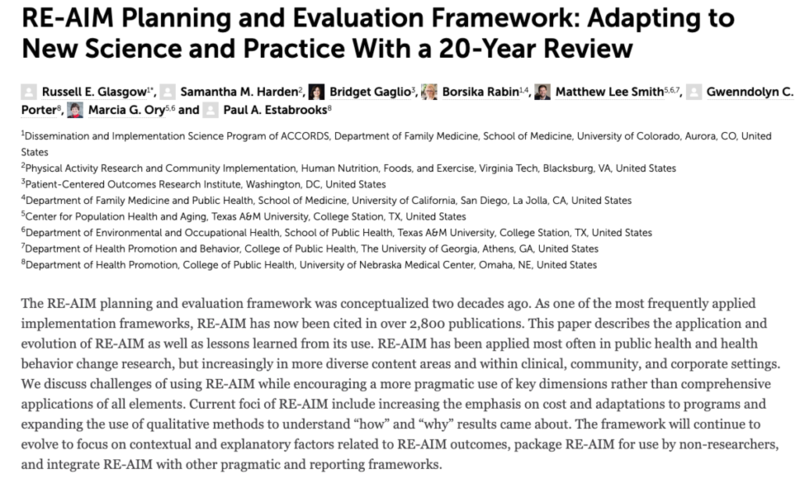 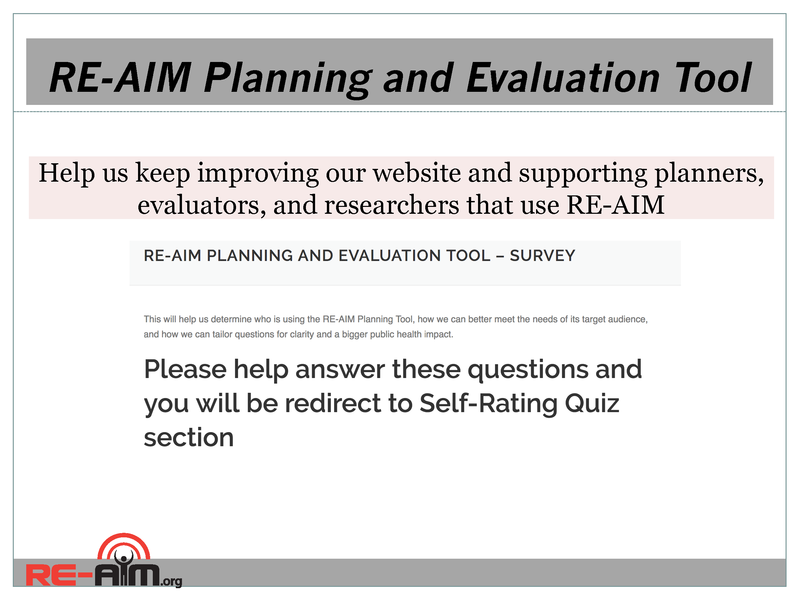 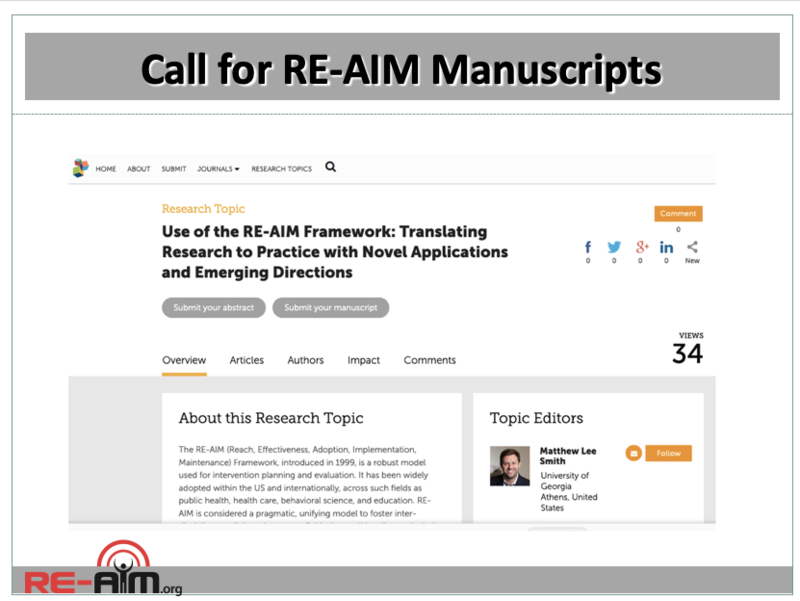 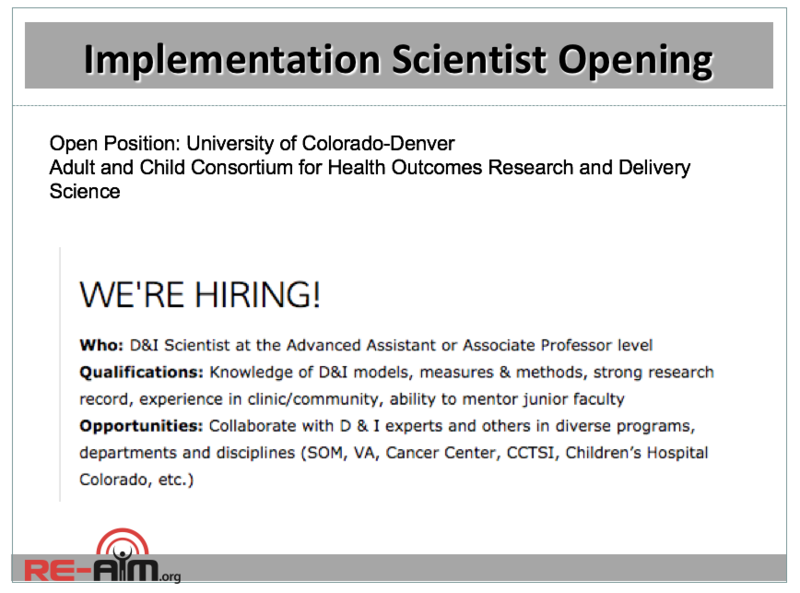 The manuscript, titled “RE-AIM Planning and Evaluation Framework: Adapting to New Science and Practice With a 20-Year Review”, may be reached by clicking the image below. 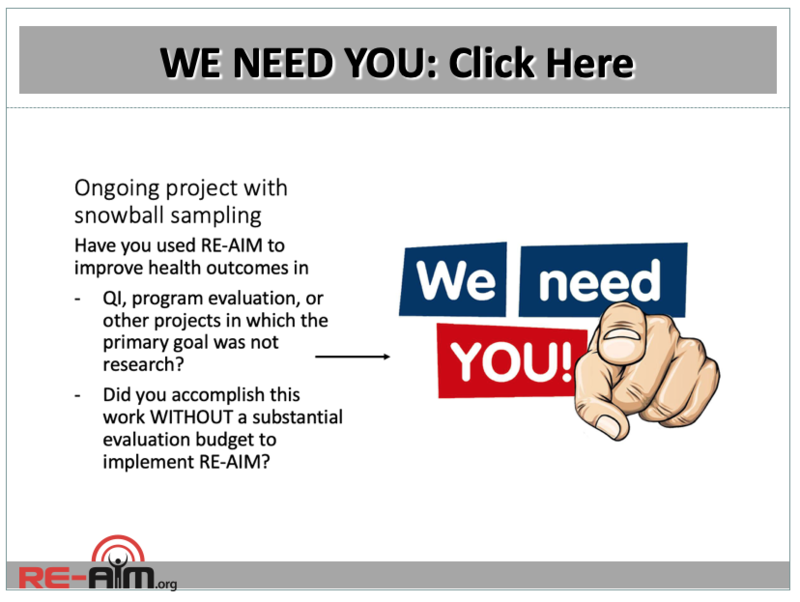 Please send comments and suggestions or your own RE-AIM related work for inclusion on the site to Samantha Harden.